A container of pitch from the sugar pine (Pinus lambertiana). During the days of masted sailing ships, pine pitch such as this was used as a caulking material to make the ships seaworthy. The settlement of North America was partially due to England's desire to rid herself of dependence on Scandinavian sources of resin, since the pitch was used to caulk ships and waterproof the rigging. 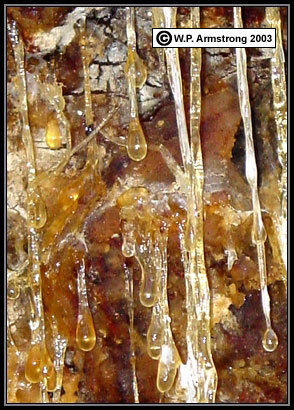 Dripping pitch from the trunk of a Douglas fir (Pseudotsuga menzeisii) in northern Montana. Conifers such as this ignite like a torch during a fire storm due to the combustible terpene oleoresins. 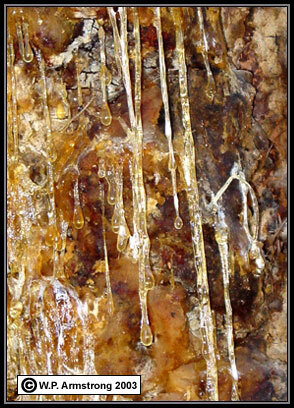 Abundant resin ducts throughout the trunk and branches of healthy trees is vital to survive freezing winters and to retard the invasion of bark beetle larvae. 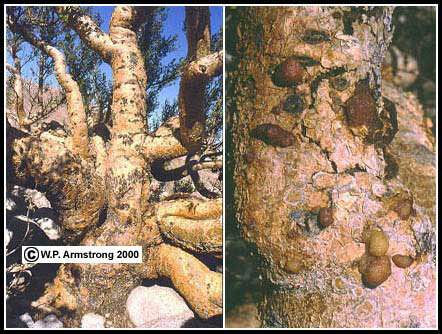 During prolonged summer drought conditions, stressed trees produce less resin and are more vulnerable to bark beetles. In fall of 2003, this drought stress was especially evident throughout mountainous areas of San Diego County where thousands of pines were dying. 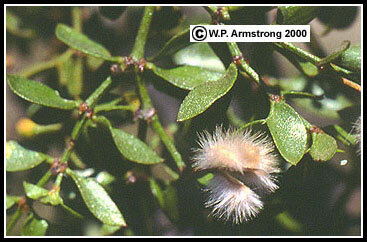 Close-up view of foliage and fuzzy white fruits of creosote bush (Larrea tridentata). The glistening resinous coating insulates the leaves and reduces water loss by transpiration. Although it has a similar odor, this resin is not the commercial source of creosote. The commercial source of creosote is derived from the distillation of coal tar. It is produced by high temperature carbonization of bituminous coal. Wood creosote is obtained from the distillation of wood tar from several woods of the eastern United States. Wood creosote is a mixture of phenolic compounds that are used medicinally as an antiseptic and expectorant. Under no circumstances should coal tar creosote be taken internally. Although creosote bush does not grow in the chaparral plant community, the dried leaves of this shrub are the source of "chaparral tea," a controversial herbal remedy with antitumor properties. The leaves contain a powerful antioxidant that apparently destroys tumor cells; however, there are reported cases of liver toxicity, including toxic hepatitis and jaundice. Tropical American incense trees in the torchwood family (Burseraceae). Left photo shows Protium copal (far left) and gumbo limbo (Bursera simaruba) at the ancient Maya city of Tikal in Guatemala. Protium copal was probably the principle source of fragrant copal incense used by the Maya of Guatemala highlands. 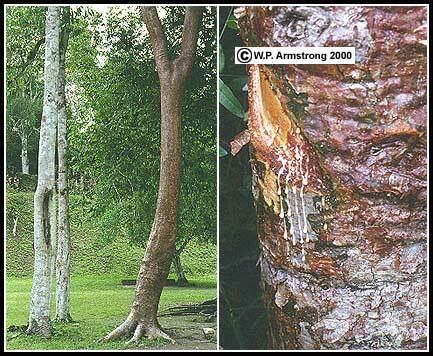 Right photo shows a freshly cut turpentine tree or gumbo limbo (Bursera simaruba) on the island of Dominica. The limbs of this tree sprout readily in the ground and have been used throughout the Caribbean and tropical America for "living fenceposts." The elephant tree (Bursera microphylla), a fat-stemmed (pachycaul) tree native to the Anza Borrego Desert of southeastern California and south into Mexico. This resinous tree belongs to the torchwood family (Burseraceae), along with gumbo limbo (B. simaruba) and Guatemalan incense (Protium copal). The trunk and branches exude copious globs of fragrant oleoresin. 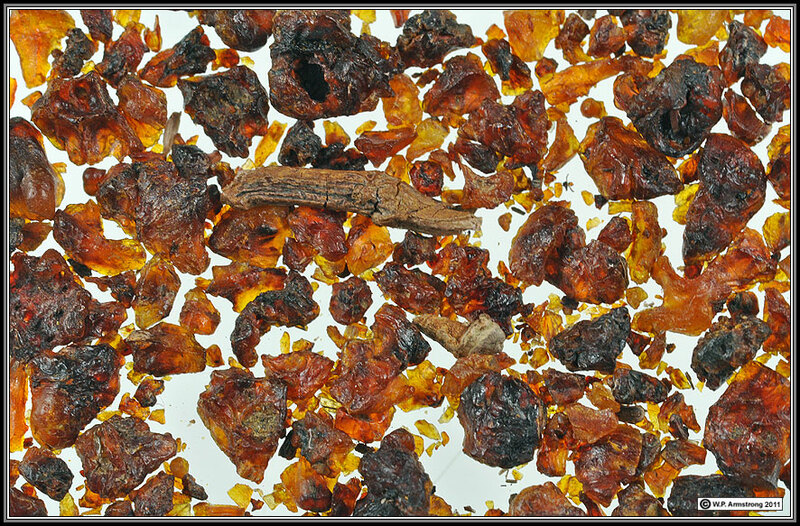 Like the mideastern resins, frankincense and myrrh, elephant tree resin was also used for incense by native Americans and early settlers. Far left and far right: Fragrant, strong-scented oleoresins from the torchwood family (Burseraceae), including frankincense (Boswellia carteri) and myrrh (Commiphora abyssinica), native trees (or large shrubs) of the Middle East desert region. Some of the New World counterparts of this fascinating resinous family include Guatemalan incense (Protium copal) and gumbo limbo (Bursera simaruba), two incense species widely used by the Maya. 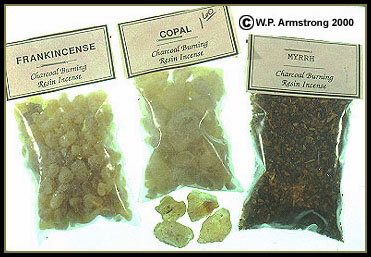 The copal resin (center) is probably from the West Indian locust (Hymenea courbaril), a Caribbean and tropical American tree of the legume family (Fabaceae). Seed lac, the resinous secretions of lac insects, small sucking insects related to aphids and mealy bugs. Shellac is prepared from these resinous excretions on the twigs of several species of Asian and southeast Asian trees, including Butea, Cajanus and Acacia of the pea family (Fabaceae); Schleichera of the soapberry family (Sapindaceae); Zizyphus of the buckthorn family (Rhamnaceae); and Ficus of the mulberry family (Moraceae). 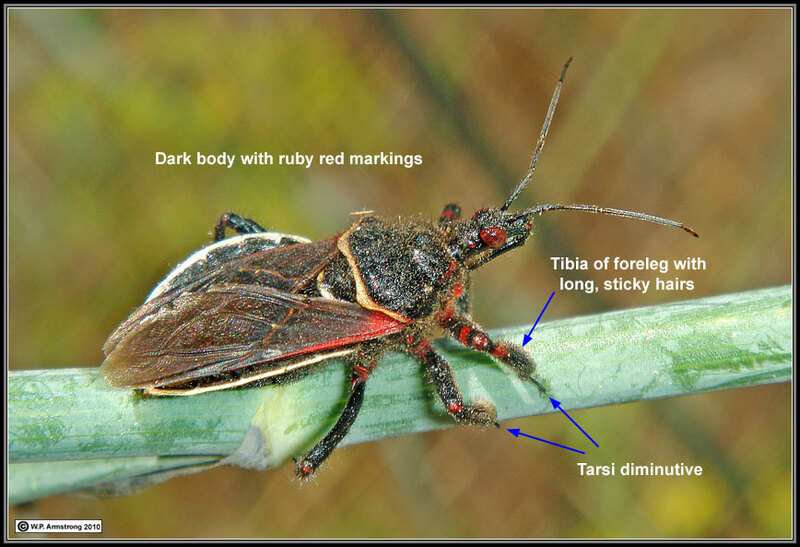 The lac insect belongs to the Order Homoptera (along with aphids, scale insects and mealy bugs), and depending on the reference, it is listed as Tachardia lacca or Laccifer lacca. Confectioner's glaze (also known as pharmaceutical glaze) is an alcohol based solution of food grade shellac. It extends the shelf life of candies and tablets and protects them from moisture. It also masks the unpleasant odor and taste of certain medicinal tablets and aids in swallowing. Since the shellac coating is insoluble in stomach acids, it is used in time-released pills. Candies coated with confectioner's glaze made from seed lac. It extends the candy's shelf life and protects it from moisture. From left: Junior Mints®, Jelly Belly®, Raisinets®, and Good & Fruity™. Gum mastic or "Chios Tears," raw resin globules from the mastic tree (Pistacia lentiscus). Mastic is one of the oldest known high grade resins utilized by people, and it is extensively cultivated on the Greek island of Chios. Mastic resin (technically an oleoresin) is used in perfumes, chewing gums, pharmaceuticals, in high grade varnishes for protecting pictures, and in adhesives for dental caps. 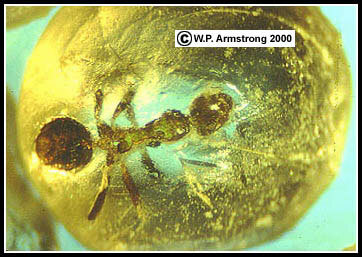 An ant entombed in a resin globule from the mastic tree (Pistacia lentiscus). The insect-bearing resins of some trees become buried in the soil and gradually polymerize into amber. Left: Close-up view of the inflorescence of a female marijuana plant (Cannabis sativa). The threadlike structures are styles of pistillate (female) flowers. 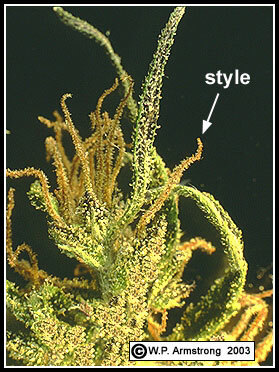 The granular appearance is due to numerous glandular hairs (trichomes), each with a blob of resin. Male plants generally lack the dense, glandular hairs. 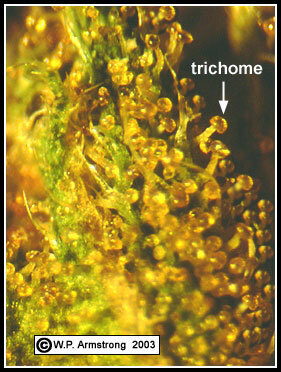 Right: Microscopic view of the inflorescence showing numerous gland-tipped hairs called trichomes, each with a tiny blob of resin at the tip. The resin contains a mixture of volatile mono and sesquiterpenes, along with several phenolic cannabinoids. The most potent cannabinoid is delta-tetrahydrocannabinol (THC). ♦ Langenheim, J.H. 2003. Plant Resins (Chemistry, Evolution, Ecology & Ethnobotany). 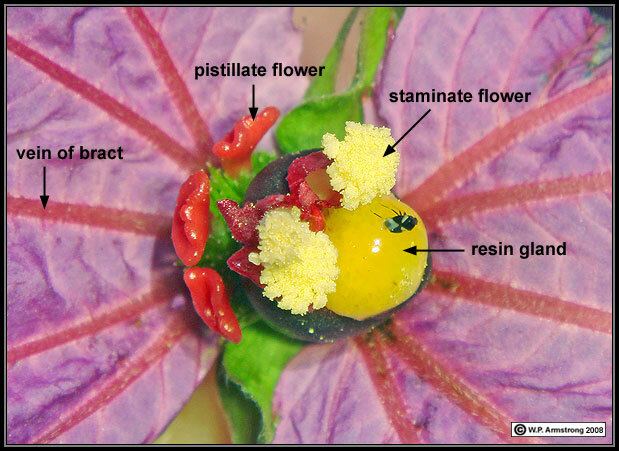 There are very few examples in flowering plants where the insect pollinator is rewarded with a sticky (viscid) terpene resin. This adaptation has evolved in two unrelated plant families, the Guttiferae (Clusiaceae) and Euphorbiaceae. Pitch apple (Clusia rosea) on the Island of St. John, U.S. Virgin Islands. 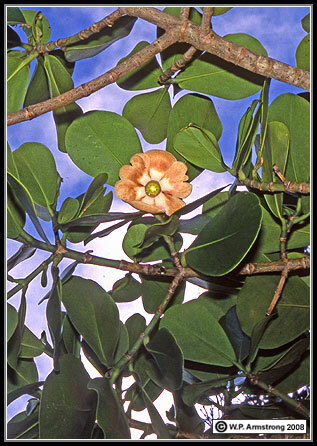 Although it resembles strangler figs of the genus (Ficus), Clusia belongs to an entirely different tropical plant family, the Guttiferae. It has attractive pinkish-white blossoms followed by sticky, resinous fruits. 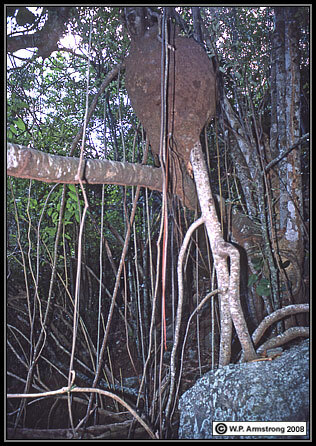 The large object at the top of photo is a termite nest. 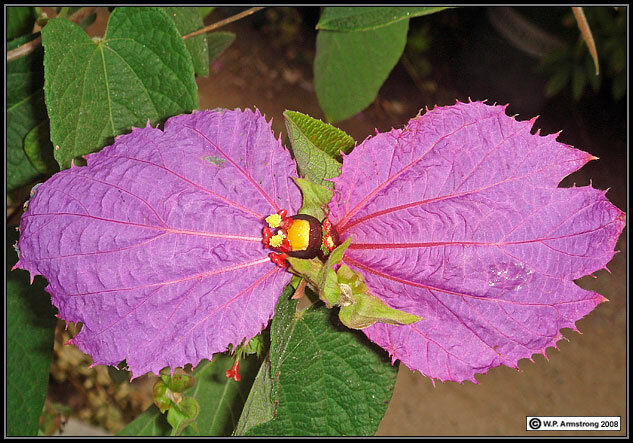 Costa Rican butterfly vine (Dalechampia dioscoreifolia). Two showy bracts subtend an inflorescence composed of apetalous, staminate and pistillate flowers. Close-up view of bee assassin (Apiomerus crassipes) on the stem of sweet fennel (Foeniculum vulgare). The bee assassin actually collects resin from nearby shrubs and applies the sticky coating to its front legs. This apparently helps it grasp and hold prey with its sticky legs. Left: Candelilla (Euphorbia antisyphilitica), a leafless shrub native to the Chihuahuan Desert along the United States-Mexican border. The stems are gathered and boiled in water. The waxy coating on the stems melts and floats to the surface where it is skimmed off and allowed to harden. This primitive method is rather destructive to native populations of candelilla plants. Right: This is not a bowl of corn flakes. It contains flakes of candelilla wax, painstakingly removed from the stems of candelilla plants. Flakes of candelilla wax from the North American candelilla plant (Euphorbia antisyphilitica), a leafless shrub native to the Chihuahuan Desert along the United States-Mexican border. 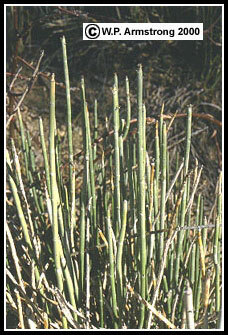 Another species called candelilla (Pedilanthus macrocarpus), a leafless shrub native to Baja California and Sonora, Mexico. 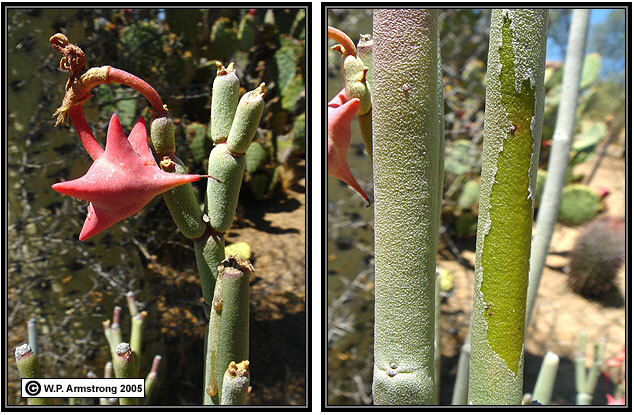 Like the North American candelilla plant (Euphorbia antisyphilitica), the stem has a waxy coating that has been rubbed off in the right image. This species also has conspicuous red seed capsules. Chunks of carnauba wax from the leaf epidermis of the Brazilian carnauba palm (Copernicia prunifera). Dried leaves are beaten to dislodge the wax, which is exported to other countries and used for car waxes, floor waxes and shoe polish. Carnauba wax is harder than other natural waxes and many synthetic waxes, and it has a lower melting point. 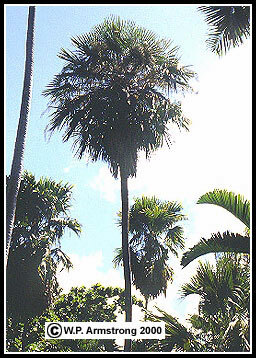 Brazilian carnauba palm (Copernicia prunifera). Dried leaves are beaten to dislodge the wax, which is exported to other countries and used for car waxes, floor waxes and shoe polish. Carnauba wax produces the shiny surface of Gummy Bears, Gummy Worms, Jelly Beans and many other candies. The gummy, chewy texture of Gummy Bears, Gummy Worms and marshmallows is due to gelatin, a thickening agent derived from collagen protein in animal connective tissue.